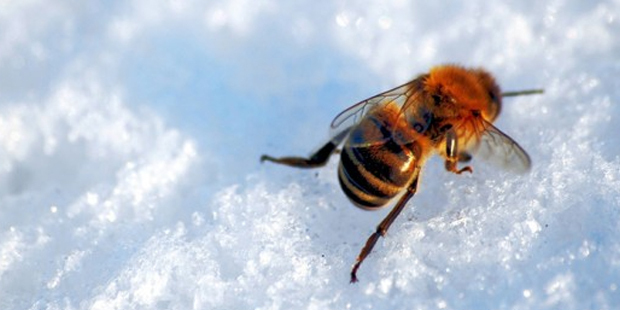 A honeybee struggling in the snow, (inhabitat.com). 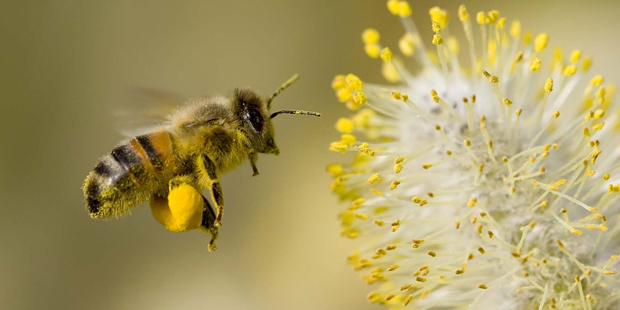 The plight of the honey bee (no, not that whimsical high-speed orchestral doodad) is as heated a topic as any other, joining the ranks of climate change, gun control, or the recent influx of refugees. Heavy hitters, in the form of scientists and climatologists, chant from each opposing corner. But, with El Niño, the question on everyone’s mind (oh yes, we’re sure you think about this daily) is what will the upcoming wild winter bring for the honeybees? Honeybees huddled together for warmth, (www.nj.com). For bumblebees, hibernation is the first response followed by the relatively common sight of mass bee graves in northern regions. Usually, only the queen retires to warmth and protection. But, for the honey bee, winter is a time to double down and fight even harder in an all-out effort for survival. A single honey bee will typically die of exposure once temperatures drop to 28 degrees and lower; and in order to carry on, a colony will huddle together to create a communal furnace fueled by their body heat. The bees contract muscles in the thorax responsible for flight, creating energy that can raise a bee’s core temperature. Having morphed into tiny space heaters, the bees arrange themselves into a cluster, a football huddle if you will, their little bee heads touching and their abdomens (which are cooler) facing outwards. The outermost layer sits at a cooler temperature, around 46 degrees. Cold, but survivable. These outer layers comprise the shell, or “mantle,” that protects the queen while the inner layers of the core can reach upwards of 95 degrees (only 3 degrees shy of a boy-band reunion). Typically, the bigger the cluster, the less each individual bee will have to work in order to maintain their temperature, and the better the chance for overall survival. But, a huddle, no matter the size, still requires energy in the form of stockpiled honey. Breaking off from the group to reach the hive could mean certain death. Beekeepers use a layer of insulation to protect their colonies, but wild honey bees lack that luxury and often move in unison to reach untapped honey stores. A cloud of buzzing busyness that is both awesome and terrifying at the same time. 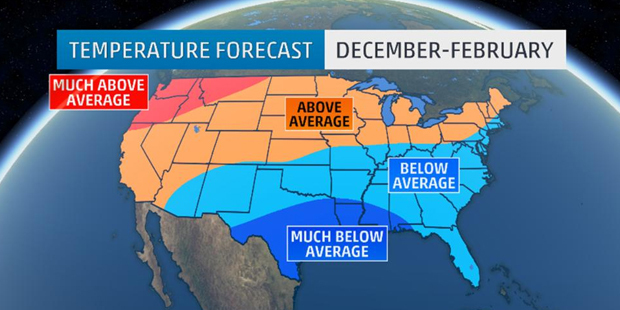 According to The Weather Channel Professional Division, the 2015-16 winter will be colder than average for portions of the Southwest, Southern Plains, Southeast, and East Coast; while the West Coast, the Northwest in particular, eastward into the Upper Midwest, and interior sections of the Northeast will experience warmer-than-average temperatures. A nice break for the usually desolate cold of the northern honeybee population. What Does This Mean For The Bees? A honeybee pollinating a flower, (beesweetnaturals.com). Okay, enough with the excitement. Earlier this year several different news outlets reported a mass die-off. The end is nigh and it looks particularly less black and yellow than we’d hoped it would, (sorry Wiz Khalifa). But, according to the Washington Post, supported by data from the USDA, beekeepers have contributed significantly to an actual rise in honey bee colonies since 2006. They have the colorful graph to prove it. This means I can rest easy tonight knowing that manged colonies are going strong… so long as we ignore wild bee populations. Is it the end of the world? That’s your call. We’d rather not waste the energy panicking anymore than we already have to. What are your thoughts? 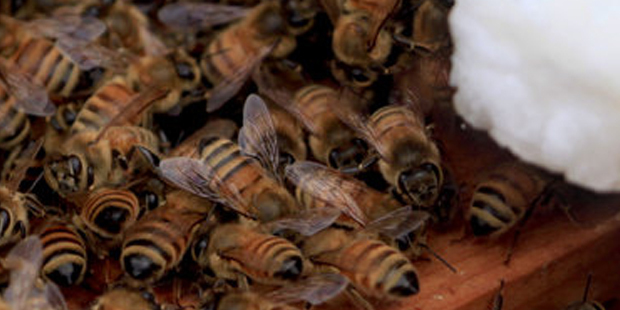 Is the honey bee die-off phenomenon actually happening? Is it more liberal fear-mongering or conservative word-twisting? Let us know: comment below and share on Facebook!